iOS has long been known as a tightly controlled operating system, especially compared to Android and its easy app interactions. With the release of iOS 8, Apple loosened their grip just a little bit — enough to allow apps to talk to each other in a few cases. It’s a new era for iOS with these extensions — let’s take a look at how you can best use them! Actions: How Do They Work? Much like a browser add-on gives additional functionality to your browser from other apps (like being able to pin an image, share a link on Facebook, or fill in your login information with a password manager 5 Password Management Tools Compared: Find the One That's Perfect for You 5 Password Management Tools Compared: Find the One That's Perfect for You Choosing some sort of password management strategy to deal with the huge amount of passwords we need is crucial. If you're like most people, you probably store your passwords in your brain. To remember them... Read More ), iOS now lets you take advantage of the functionality of one app without leaving another. One notable way in which we’ll start to see this is in the availability of third-party keyboards for iOS iOS 8 Lets You Replace Your iPhone Or iPad's Keyboard – Here's How iOS 8 Lets You Replace Your iPhone Or iPad's Keyboard – Here's How With iOS 8, you can finally change your iPhone's keyboard, and you have some awesome options. Read More . The place where app interactions really shine, though, is in Safari, which has never quite measured up to other iOS browsers that allow extensions, like iCab Mobile iCab: Another Powerful Alternative to Safari on the iPad iCab: Another Powerful Alternative to Safari on the iPad When I recently compared six alternative web browsers for the iPad, I didn't know about iCab, which several readers thought should have been a part of my review. And they were absolutely right. Read More . But now a whole new world has been opened up and when you tap the Share button in Safari, you’ll see some new options. If you have apps installed that support working with Safari, you’ll be able to see them by tapping “More” on the far right side of the actions menu. From here, you can choose the actions you’d like to be displayed in the menu. To enable access, just make sure the slider is in the “on” position. That’s all you need to do — no downloading extra apps for extensions, no fiddling with permissions; just a quick slide. So now that you know how to get them working, let’s take a look at a few cool apps that you can use with Safari in iOS 8. By far the most exciting extension for me is LastPass. I use it constantly on my computer (so much so that I actually wrote a full guide to using it) and I was using it on my previous Android phone as well. I can’t remember passwords to save my life, so having to go to the LastPass app to look them up always seemed like a big hassle in iOS 7. No more, though. Open up the actions menu, tap LastPass, select the information you’d like to fill in, and it’s done. If you’re a user of the 1Password app Let 1Password for Mac Manage Your Passwords & Secure Data Let 1Password for Mac Manage Your Passwords & Secure Data Despite the new iCloud Keychain feature in OS X Mavericks, I still prefer the power of managing my passwords in AgileBits's classic and popular 1Password, now in its 4th version. Read More , you’re also in luck, as they’ve been working hard on integrating their app with not only Safari, but other apps as well. Both apps also supports Touch ID for user authentication too, which is pretty cool. Another of my favorite apps, Evernote now lets you clip articles and sites from Safari directly into one of your notebooks, just like the Evernote browser extension Evernote's New Web Clipper Is The Ultimate Content Saving Tool Evernote's New Web Clipper Is The Ultimate Content Saving Tool Evernote's Web Clipper isn't new. But if you haven't heard, or perhaps didn't like the Evernote clipper in the past, this is the right time to look into it again. Read More does on your computer. No more emailing the page to yourself and clipping it from your desktop. Just tap the Evernote button, and the page will be synced with your account. Incidentally, the iOS 8 Evernote app also includes Touch ID authentication – something else that’s new for iOS 8. 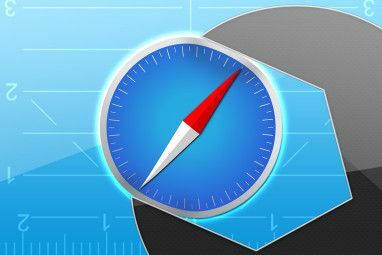 Safari’s Reading List is a nice feature, but it’s best used when Safari is your go-to browser on all platforms. Now you can use other read-it-later apps to sync articles between different browsers, apps, and even operating systems. Both Pocket and Instapaper are popular options, and you can now save pages to them from your iPhone or iPad, then read them whenever and wherever you please, on any device. You may not have thought of adding webpages to your task management app, but both of these apps let you add pages to tasks, which is great for when you want to create shopping lists or remember to do a number of things that are listed on a page. If you don’t use a read-it-later app, this can also be a good reminder to go back and look at something in more detail. Sharing to Facebook or Twitter has been easy from Safari in the past, but now LinkedIn and Pinterest have app extensions as well, letting you share the cool things you find with the world. It’s a safe bet that more features from popular social media apps like HootSuite, Tweetbot, and Buffer will be added in the future, giving you more options for sharing. 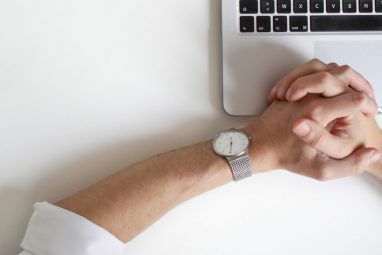 The ability to translate a website 10 Uses Of Google Translate To Cross The Great Language Divide 10 Uses Of Google Translate To Cross The Great Language Divide Language is such a cultural totem that its translation doesn’t cover all the corners. When we talk of machine translation, the name without surprises that comes to mind is of Google Translate. 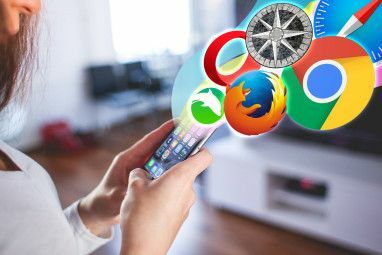 Perhaps, most of... Read More has been mentioned by a lot of the write-ups of the big potential for Safari extensions, and Bing Translator is one of the ways to do it. Once you’ve downloaded the Bing app, you’ll see the Bing Translator option in the Safari extensions row. Just tap it to translate the page into whichever language you’d like. This is great if you read up-to-the-minute Apple news 10 Awesome Apple Blogs For Geeks [Mac] 10 Awesome Apple Blogs For Geeks [Mac] Read More that might show up in different languages. 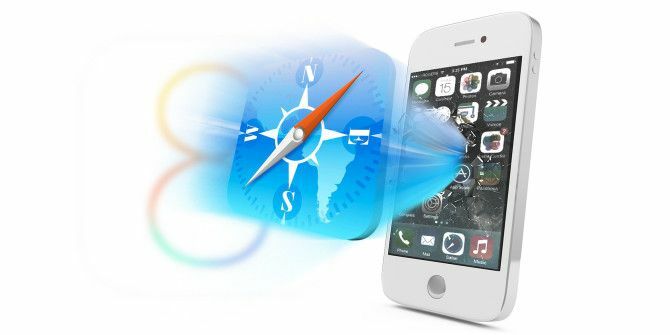 While the number of apps that can be used with Safari in iOS 8 is currently a bit limited, it seems very likely that other app developers will be racing to release updates for their apps that will allow them to work well with Apple’s stock browser. The fact that Apple is allowing this sort of app interaction is a huge step forward for iOS, and we’re looking forward to finding great ways to make use of it! Which Safari action have you found most useful? How to Use Your iPhone as a Webcam: 5 Methods That WorkGhost Hunting With An iPhone: Who You Gonna Call? I haven't heard anything about Instagram updating their app to take advantage of Safari actions, but hopefully they'll get on it soon. That would be a really useful addition to the mix! How about Buffer and Google+ ? Almost immediately after posting this article, I got a tweet from someone at Buffer saying that they had released their new iOS 8-compatible app, and now you can Buffer things right from Safari. Extremely useful. I didn't think to test or mention G+, but I'm glad that it works!